Hurricane Matthew has already made several marks in the record books, and could make a few more as it hits the coast of Florida with punishing storm surge, winds and rain. 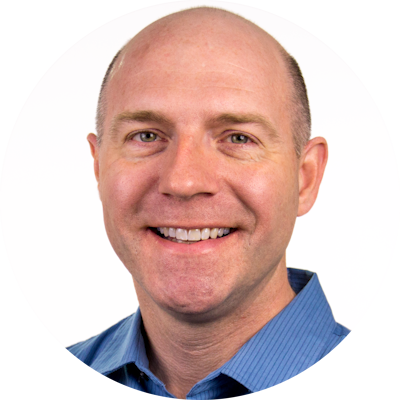 According to Phil Klotzbach, a hurricane researcher at Colorado State University, Matthew ― currently a Category 4 storm with winds of 140 mph ― had the third strongest 24-hour intensification on record in the Atlantic basin, going from a Category 1 to 5 on Sept. 30. 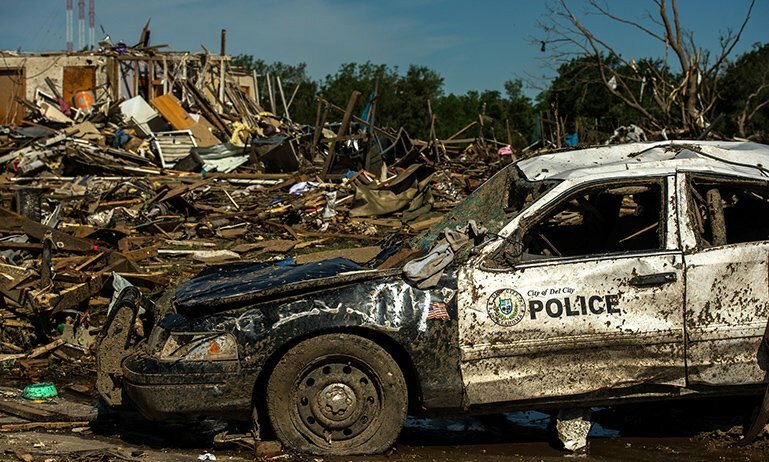 One measurement of a storm’s duration and intensity is called Accumulated Cyclone Energy (ACE), which takes into account a hurricane’s winds over time. Matthew has generated the most ACE by a single Atlantic storm since 2010, according to Klotzbach. Before it fades away, which may be several more days, it could be one of the highest ACE generators in the last half-century. The east coast of Florida will take the brunt of the storm on Friday, and it has been a long time since a hurricane this intense has made landfall there or anywhere in the U.S. The last time a Category 4 hurricane made landfall along the east coast of Florida was in 1950, and Matthew has been the only hurricane on record to make landfall as a Category 3 or higher in Haiti, Cuba, and the Bahamas, Klotzbach said. 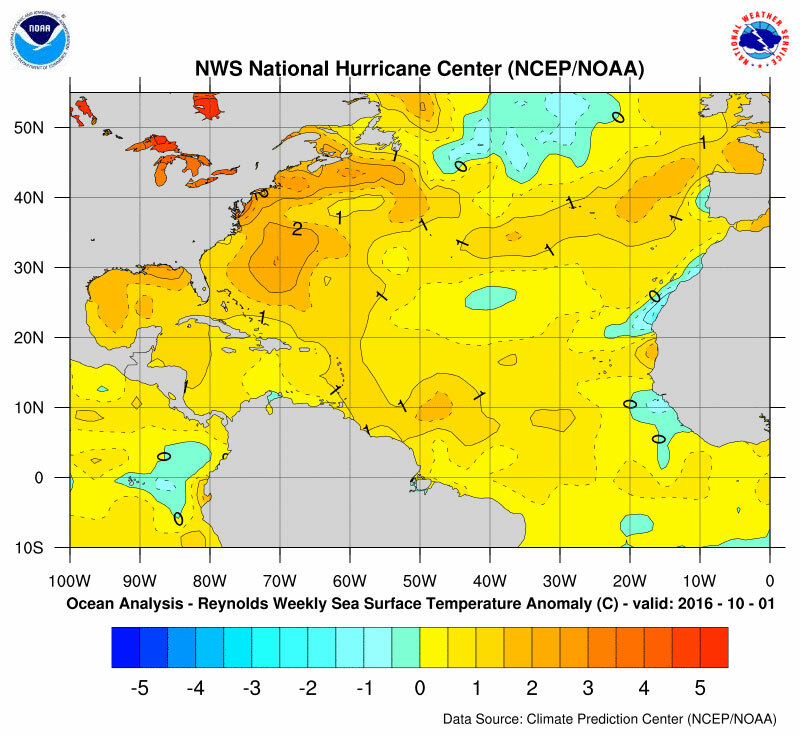 Warm water fuels hurricanes, and over the past week, water temperatures have been about 85°F (29°C) in the Caribbean where Matthew first intensified. 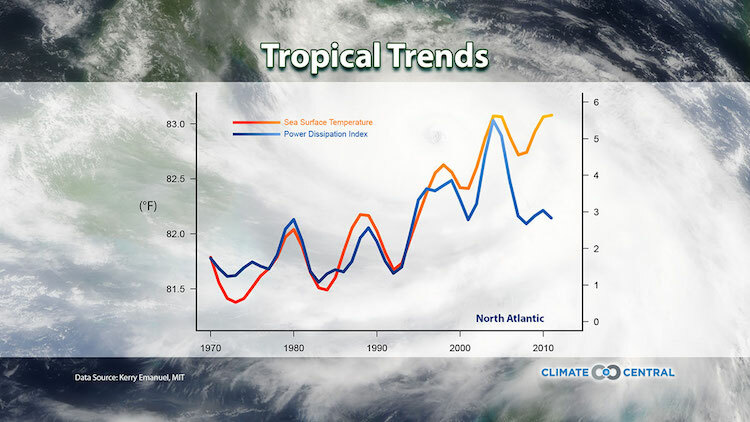 Compared to the seasonal normal, water off the Atlantic coast is even warmer, reaching more than 2°C (3.6°F) above normal in some places. 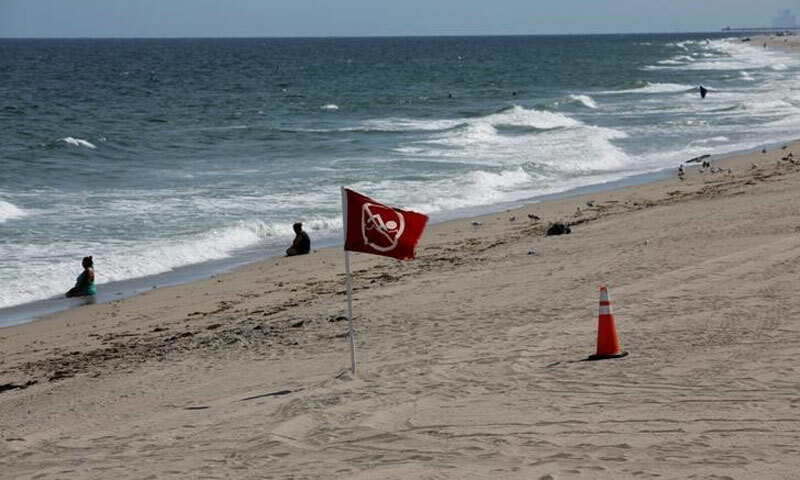 Ocean water temperature, difference from normal. Average for the week ending October 1. Much has been made of the major hurricane drought in the U.S., with no major hurricane (defined as Category 3 or stronger) coming ashore since Wilma in 2005. That has largely been a fluke. 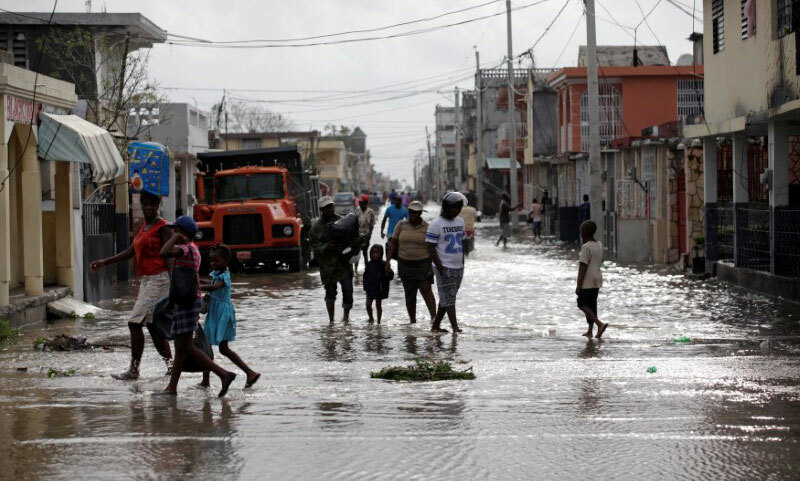 The hurricane seasons in the intervening years have been active, and landfalls have occurred in other parts of the Atlantic basin, including Mexico and the Caribbean Islands. 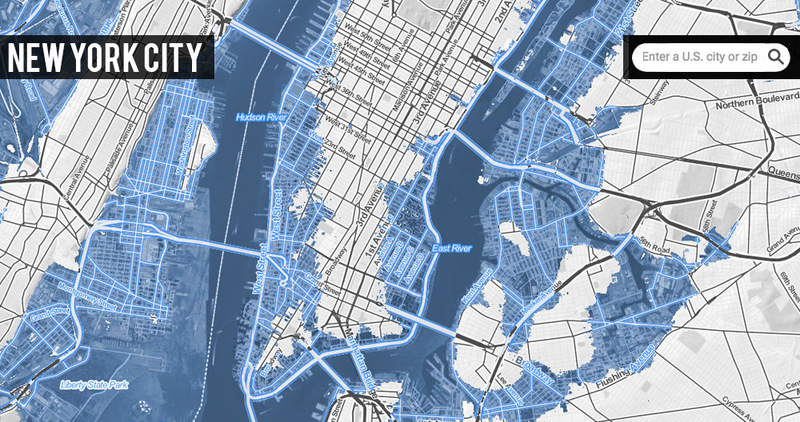 And even if a hurricane is not classified as a major hurricane, it still can have catastrophic flooding impacts, as Sandy made clear. 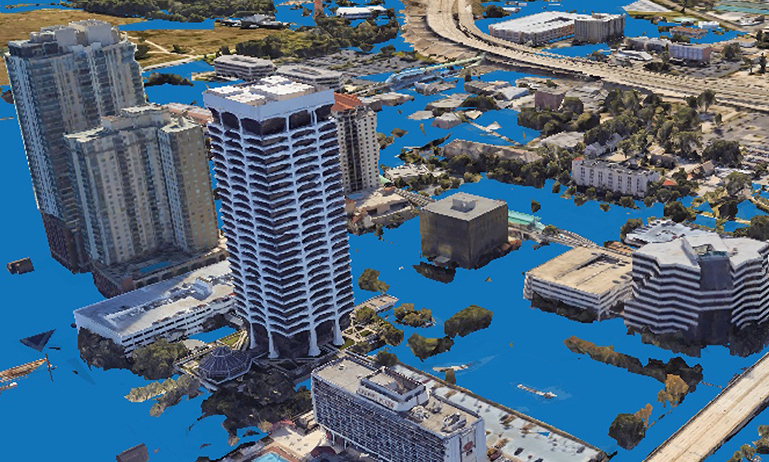 The exact impacts in Florida, Georgia, and South Carolina, depend on just how close the eye of Hurricane Matthew comes to the coastline. There will also be the problem of what happens after the Florida impacts on Friday. Initially, it was believed that Matthew would take the generally favored track of a northeastward turn, hugging the coast of the Carolinas and then heading out to sea. This usually happens as the hurricane drifts northward until reaching the westerly steering winds of the jet stream. Over the past day or so, it has become less likely that this will happen. The jet stream winds travel in waves, and it was hoped that one of the waves would dip far enough southward toward Matthew to effectively grab it and take the storm offshore. Most of the available computer simulations now suggest that the dip in the jet stream will bypass Matthew to the north, leaving it to drift off the southeast coast for at least a few more days. Most distressingly, some of these simulations indicate that Matthew could take a circular course, returning to the east coast of Florida next week. A disturbing scenario to be sure, however, it is important to remember that five-day position forecasts for hurricanes have an average error of more than 200 miles. So it’s by no means certain this will happen. 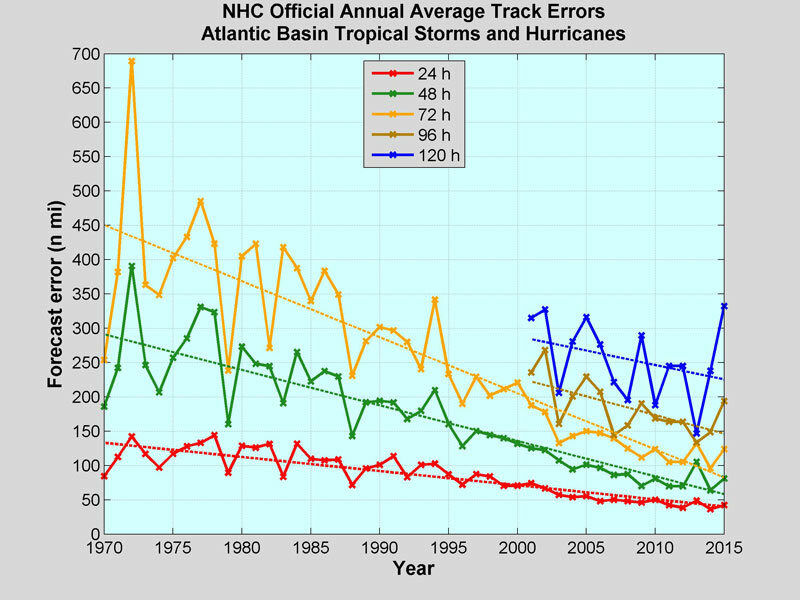 National Hurricane Center forecast track errors since 1970. Nonetheless, Matthew will continue to be a threatening storm after its immediate Florida impacts, and it will certainly be a hurricane that will remembered for a long time. Perhaps even enough so that the name Matthew will be retired from the hurricane name registry. With powerful Hurricane Matthew barreling toward the east coast of Florida, officials are hammering home the message for those under evacuation orders to leave and other residents to prepare for extensive power outages and widespread damage along the coastline. "There are no excuses. You need to leave. Evacuate, evacuate, evacuate," Florida Gov. Hurricane Matthew threatens the Southeast through this weekend. 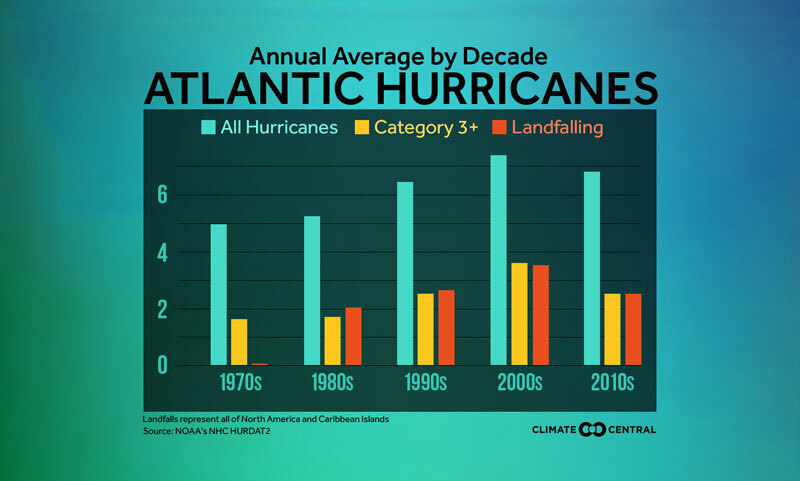 Although no major hurricane has made landfall in the U.S. since 2005, that has not been the case in other parts of the Atlantic Basin. 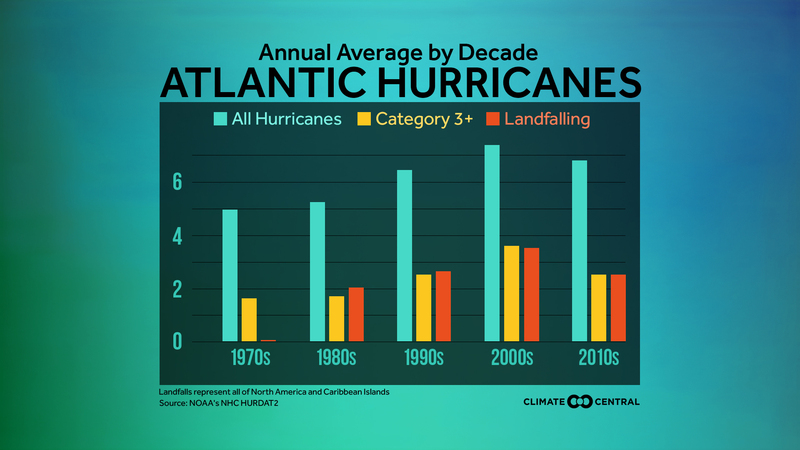 The number of major Atlantic hurricanes has been increasing since 1970 and the the U.S. is long overdue for one to strike.